Sign up for a free San Diego Vacation Guide by mail. Guides, maps, and promotional materials will be given to your to assist your future trip to San Diego. There’s so much more to see and do in Utah than you could possibly imagine. 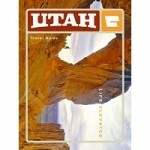 The free Utah Travel Guide is a great way to start planning your Utah itinerary! With gas prices currently much lower than just a year ago and many of us having suffered through a long cold and snowy winter you may be interested in these free USA travel Guides, even some from Canada locations too. Whether you are ready to get out of town for a while, looking for travel ideas, or would just like to read some interesting stuff, there are many guides to peak your interest. Just add these to your cart and checkout. Sign up for a free Trip Advisor pin to commemorate those who make traveling experiences better for all of us. This offer should arrive in 2-4 weeks.